Learn to paper piece this modern quilt! 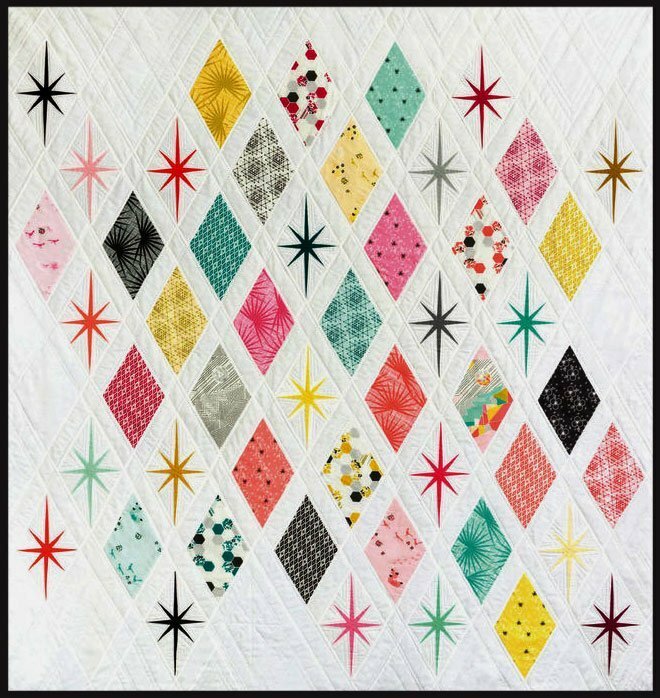 This quilt by Violet Craft is speckled with mid century-inspired paper pieced stars laid out in a modern diamond pattern. The simple, light background makes the colorful fabrics and coordinates pop. Layer cake friendly! The pattern makes a generous lap size quilt at 62in x 66in.